touristplacesinindia offers complete information on the city of Puri, Tourism in Puri, Puri Travel, Hotels in Puri, Puri Hotels, Puri Tourism, Puri Tour, Tour Packages for Puri, Places to stay in Puri, Visit Puri, luxury hotels and budget hotels in Puri. Puri is home to some of the most stunning attractions in the state of Orissa and the tourists can look forward to a vacation that will not only be a feast to the eyes but a highly educative and enjoyable one. Puri is a haven of exquisite temples, fantastic monuments, alluring beaches and natural landscape. It is located in the eastern Indian state of Orissa along the coastline of Bay of Bengal and is popular for its beaches and an excellent point for viewing sunset. It is one of the most important places of tourist interest in the entire state of Orissa and attracts scores of tourists all the year round. There are many things to watch in Puri which would make your tour to Puri an unforgettable experience. Jagannath Temple is unquestionably one of the most visited tourist attractions in Puri and is highly venerated by the locals. The temple dates back to the 12th century and is an architectural wonder. Lying along the coat of Bay of Bengal, there are many beaches that are located here but the beach by the name Puri is the most sought-after one. Puri city in Orissa offers a number of lodging options for the tourists that cater to the multifarious needs of the tourists dropping in here. Puri has a four star hotel, Toshali islands that guarantees a luxurious stay and there are also a number of three star hotels such as Hotel Holiday Resort, Mayfair Hotels & Resorts, Nilanchal Ashok, Pearl Beach Club & Resort and Sterling Days Inn Resort. The tourists who cannot afford the upscale hotels can put up in the budget hotels that are strewn all over the town such as Hotel Holiday Resort, Hotel Naren Palace, Hotel Samudra and Hotel Sea Palace. Puri is well-connected by air, rail and road transport and is accessible from the distant corners of India with ease. The nearest airport is Biju Patnaik airport which is located in Bhubaneshwar and the town has its railway station that links the major towns of India. Road transport is equally good and can be used to travel from the neighboring states. Puri is an ideal tourist destination if you want a break from the usual chores of the city life and spend some moments in peace and seclusion exploring the exquisiteness and religious flavor of Orissa. 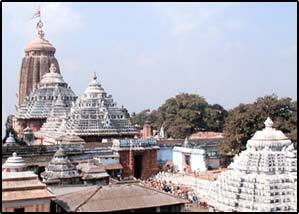 Know more about Puri by logging on to the site touristplacesinindia.com, which offers valuable travel information on Puri.